As your local computerized treatment practitoners in Edmonton, our goal is for you find relief from your back pain and for you to be able to enjoy your day-to-day life without back or neck trouble inhibiting your routine. Through computerized treatment, we can help you achieve this pain relief. Our wellness care can help you with a variety of issues, including lower back pain, neck pain, headaches, acute injury, fibromyalgia, arthritic joints, and more. We are not here to simply sell you on our services; we truly care about you achieving relief from your pain and promoting optimal overall health and wellness. Beyond visiting our office, there are a variety of things you can do to help your back and overall health and wellness. We touched upon some of the ways you can help lower your back pain in our post with tips about back pain relief. Right now, we’d like to focus on the helpful benefits of yoga for back pain. 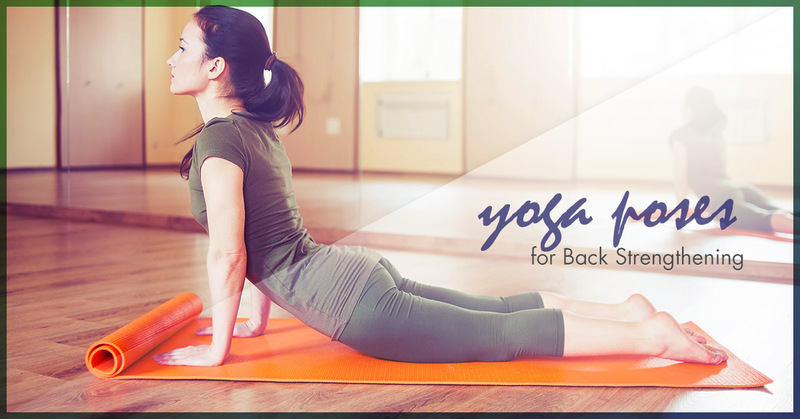 Yoga is an excellent, low-impact exercise you can implement as part of your back care plan. Yoga allows you to strengthen your back muscles, which is vital for improving the health of your back and relieving pain. When you have weak back and core muscles, you will suffer from more chronic pain. In fact, a lot of back pain can be lessened greatly by simply strengthening the muscles supporting this area. The following are some excellent yoga poses for back strengthening. The downward-facing dog is a very well-known yoga pose, and a fairly easy yoga pose for even beginners to implement. This pose is helpful for your back because it helps stretch and strengthen the muscles that help support your spine and form your lower back. To do this pose, begin on your hands and knees. Transition slowly by raising your knees away from the ground and lifting your tailbone upward. Hold the pose for around six or seven breaths. Repeat this pose approximately six times. Although this pose involves lying on your stomach, it is not as easy as it looks. This pose is an excellent pose for building strength in your lower back muscles. It is easy to learn and can be implemented into your routine slowly as you gain increasing strength. Begin on your stomach with your legs extended behind you. Next, slowly inhale as you raise your head to look in front of you. When you exhale, lift up your chest and arms carefully while lifting your legs into the air as well. When you are in this pose, focus on evenly distributing the way you hold your lift across your middle, upper, and lower back. Also, focus on engaging the muscles in your abdomen and back. This pose, which is opposite of the above downward-facing dog, is great for engaging your back muscles in a gentle but effective manner. The pose will also work the muscles in your chest and stretch your abdominal muscles. To begin, lie flat on the floor, facedown. Draw your legs together slowly, and press the top of your feet down into the floor. Using the strength of your back muscles, lift your chest off the ground. Hold this position for around six breaths. Repeat the pose as many times as you feel comfortable. Remember, yoga is a low-impact exercise you can implement without spending a lot of money. You can join a local yoga studio, or check out easy how-to videos online and start at home for free! Here at Divine Spine, our goal is to help you find the right back pain relief solutions for your specific needs. Keep in mind that yoga, like any physical activity, should be implemented with the advice of a professional. Someone on our team can help you determine what your back is capable of right now, and if some of these low impact exercises could be beneficial for strengthening your back muscles. Talk to us today about scheduling an appointment with a practitioner in Edmonton. We use revolutionary tactics to help decrease your back, neck, and shoulder pain.